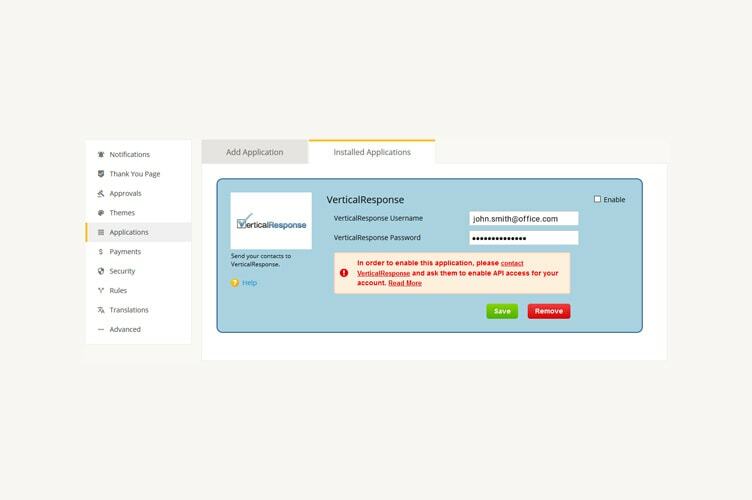 VerticalResponse integration transmits data submitted by form visitors to your VerticalResponse lists. Send the kind of emails people want to receive. VerticalResponse prides itself on delivering emails that look and read their best—no matter the device. 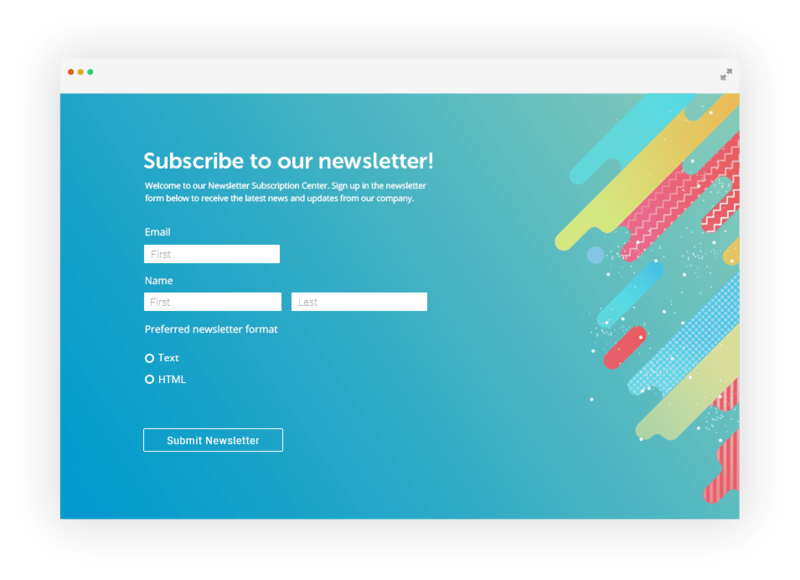 Use your contact form to grow your email marketing audience! 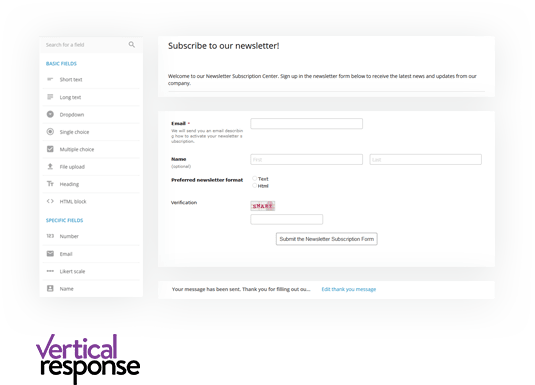 By integrating Vertical Response with your 123 form, each submission is captured as a lead and can be added to your mailing list. 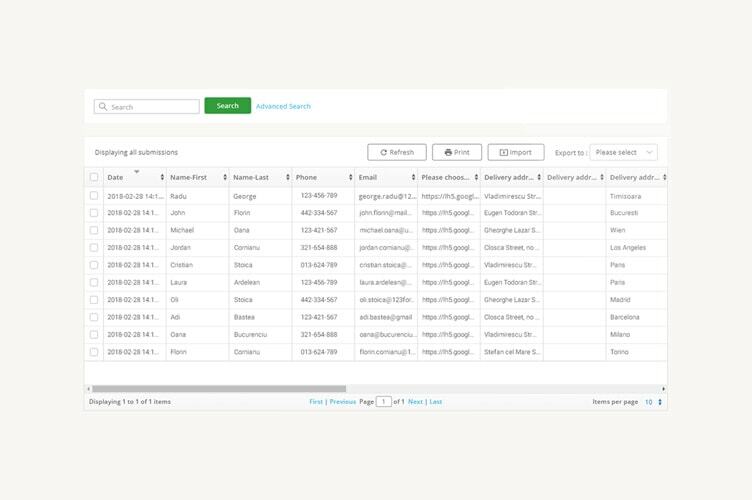 Seamlessly link your form and Vertical Response lists. Map specific Vertical Response fields to your form such as Opt-in Status, Opt-in Status Last Updated, and Bounce Campaign Id. 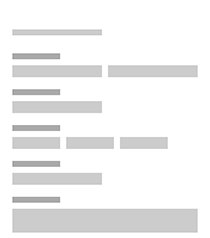 First, request API access from Vertical Response. 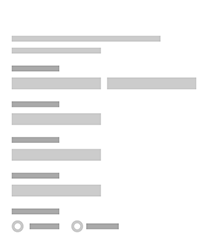 Now you’re ready to map your web form to your Vertical Response account. Go to Settings → 3rd Party Apps, select Vertical Response from the dropdown and click Add. Log in to Vertical Response, choose a list to receive leads, then click the Customize button to map the fields. 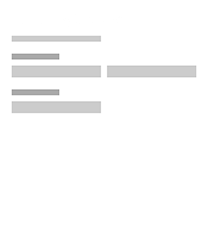 Start selling your items on your website with this simple order form template. Sell personalized cakes to your customers directly from your website. Click below to get this cake order form now! Add members to your organization on the go. With 123FormBuilder, it's easy to do it.